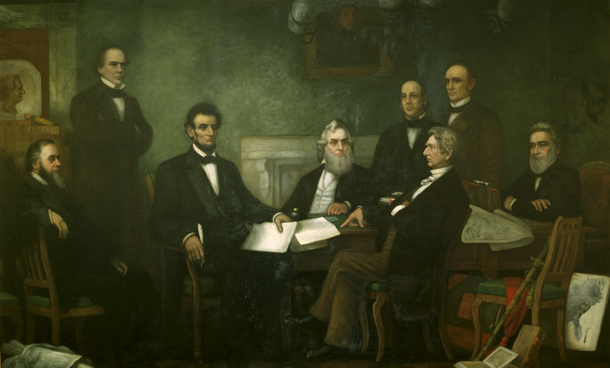 If you haven’t already heard, the Emancipation Proclamation has made a stop at The Henry Ford in Dearborn. It arrived yesterday and will be open to the public to view until tomorrow at 6 a.m. Here is more information about the event and The Henry Ford in general; one of the greatest history attractions this country has to offer. All Emancipation Proclamation programming will be held outside the Discovering the Civil War exhibit. 5:00 PM Regular daytime programming at Henry Ford Museum ends. All guests will be asked to exit. 6:00 AM The queue line to view the Document CLOSES. PLEASE NOTE: Those who wish to view the Document MUST arrive at the Museum by 6:00 AM. Personnel from the National Archives will remove the Document promptly at 7:00 AM regardless of how many guests are in line at that time. Museum personnel will do their best to accommodate everyone who is in line prior to 6:00 AM. 6:00 AM Doors to Henry Ford Museum close. 9:30 AM Henry Ford Museum re-opens for regular programming. This event and Museum admission is free to the public from 6:00 PM June 20 through 6:00 AM June 22. ** Regular Museum admission and a $5 parking fee applies to those who arrive prior to closing, 5 PM on Monday, June 20 or after the viewing is over, early morning Wednesday, June 22. The Emancipation Proclamation is brought to you as part of the Discovering the Civil War Exhibition in Henry Ford Museum, May 21 – September 5, 2011. For more information about the exhibition, click here.For information about other ways to commemorate the Civil War Sesquicentennial at The Henry Ford, click here. The exhibits of Henry Ford Museum are spread across several acres; all indoors. Comfortable clothing and comfortable walking shoes are recommended. Wheelchairs and electric scooters are available to rent for a fee a the IMAX and Clocktower entrances. Electric scooter supplies are limited, please arrive early if you plan to rent one. You are welcome to bring your own wheelchairs, electric scooters and children’s strollers– however, upright electric scooters (Segways) are not allowed on premises.Bring a camera; photography is allowed in most areas of the Museum. Photography is NOT ALLOWED in the Discovering the Civil War Exhibition, nor when viewing the Emancipation Proclamation Document.We hope you can make such a historic event. If you do please send us some of your favorite pictures! This entry was posted in Detroit, Things To Do and tagged Abraham Lincoln, Civil War, Emancipation Proclamation, Michigan, The Henry Ford. Bookmark the permalink.